For all the cool cats out there, hang out with these hanging kitty weights! 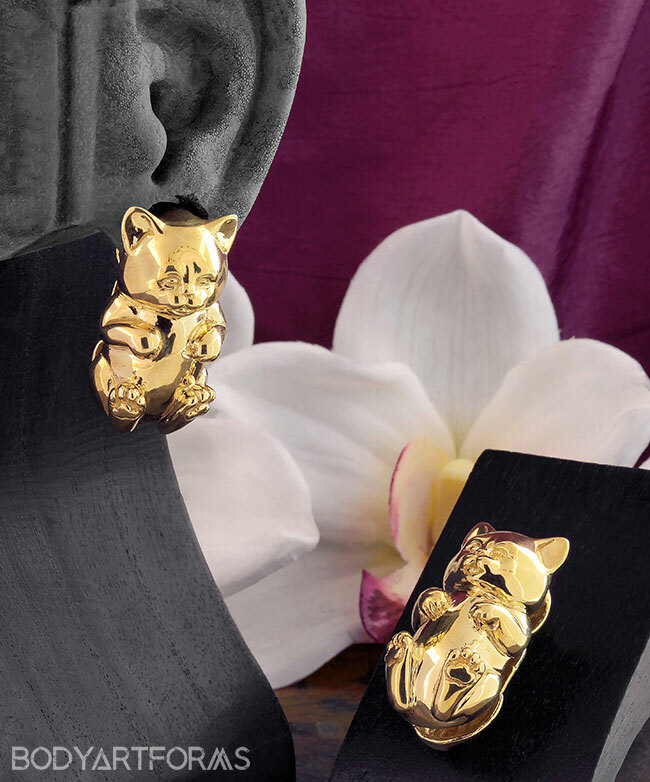 These solid brass 1/2" weights feature a cast of our feline friends. The back of these weights are the back of the kitty. 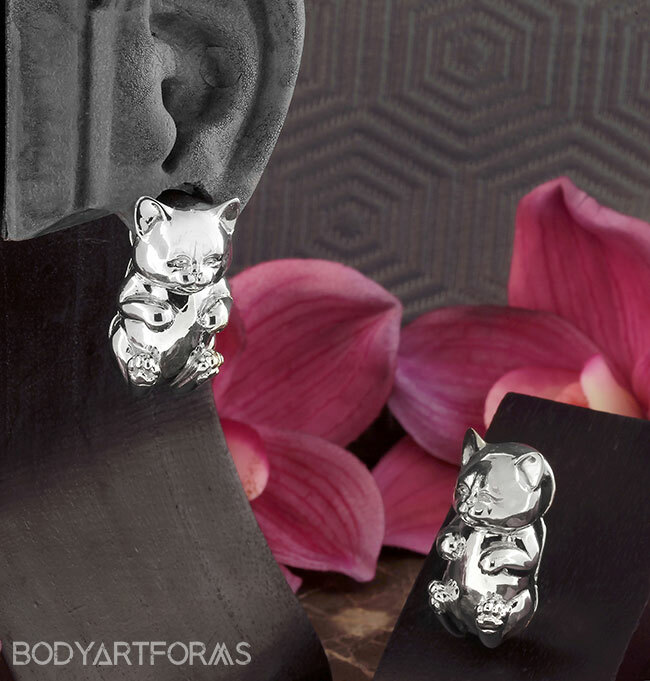 The wearable area measures at a 0g, but you must measure at 1/2" or larger to insert this design. THIS IS A LIMITED ITEM! Limited jewelry is usually re-stocked much less frequently and is harder for us to get from the manufacturer. So get it while you can, while it's available!